Thank You Extra Life United Gamers! 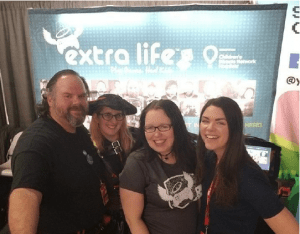 Introducing the 2019 Extra Life Ambassadors! Each year at Children’s Hospitals Week, we recognize the incredible effort our hospital program directors put toward the Extra Life program. Through the Victoria Enmon award, we honor a select handful of people that have contributed to the program, ensuring that Tori’s legacy continues to shine. Elizabeth has efficiently stewarded her local Guild and Extra Lifers! 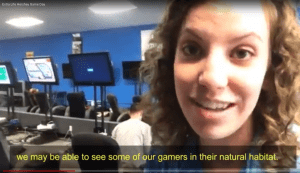 She captured their exploits during the 2018 Extra Life Game Day in this video. Elizabeth has also delved into building relationships with the potential for national impact with the National Association of Collegiate Esports. Regularly rallying here Extra Lifers with #TerrificTuesday challenges and rewarding local fundraisers with care packages, Nicole’s passion and vision for Extra Life in Boston is palpable. She is no stranger to thinking big about the Extra Life program for the Boston market, and it shows! Stewardship, collaboration and innovation are without a doubt strengths we love to see in our program directors, and Erin checks all of the boxes with ease. 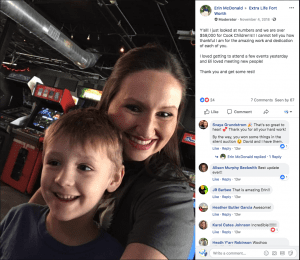 Seeing how Extra Life can impact and bring together communities, Erin is consistently finding inroads to new opportunities in Ft. Worth market. If want to see what happens when Extra Life is integrated throughout a foundation, the hospital, the staff and even the board of directors, look no further than Edmonton. 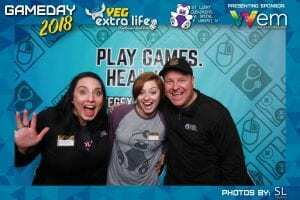 Jamie leads an incredible effort each year, resulting in what is likely one of the largest Extra Life Game Day events in North America. We’ll be announcing the winner on stage during the award ceremony at Children’s Hospitals Week. Best of luck to all of the finalists and we couldn’t be more proud of the work you do! Learn more about Victoria Enmon and Extra Life by visiting Extra-Life.org.